An American filmmaker arrives in an Arab town and becomes obsessed with a young Tunisian look alike to Marlon Brando named Anis. As the international film crew takes over his village, Anis begins risking it all to go abroad and follow his dreams of making it big in Hollywood. 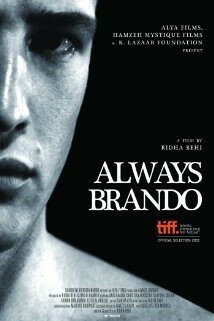 The film also shows an autobiographical insight into Ridha Behi's collaboration with Marlon Brando, which ended along with Brando’s death before the two could begin shooting the movie. Barlet, Olivier. "Africultures Dossier: Report from FESPACO 2013: Renewal or Demise?." Black Camera: An International Film Journal (The New Series) 5.1 (2013): 251-266. Web.